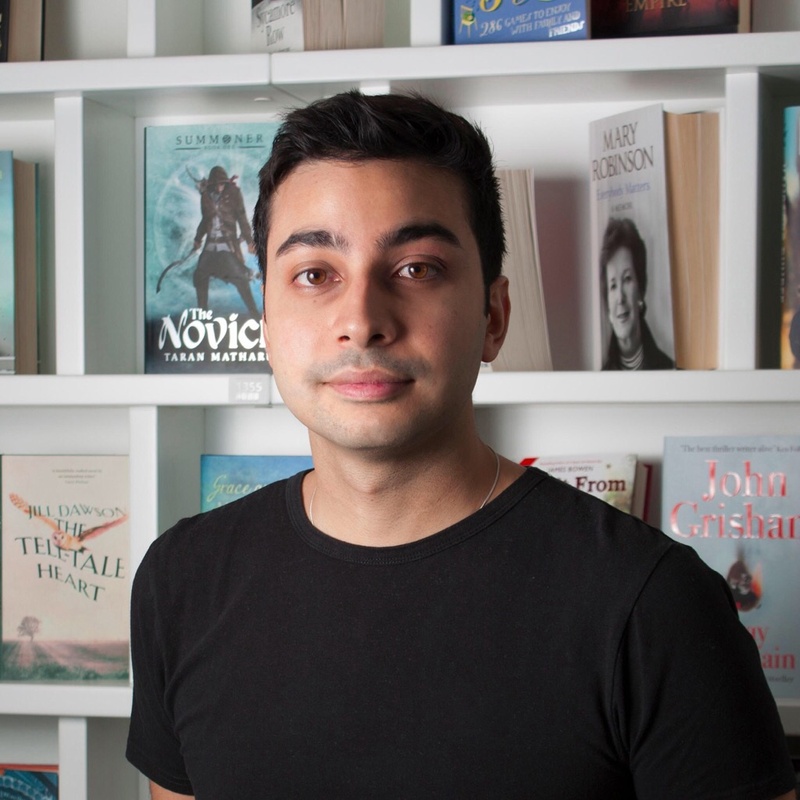 Today I’m delighted to introduce a very talented new writer, Taran Matharu, who exploded onto the literary scene via WattPad in 2014. His book, The Novice, will be available next month and I am sure is going to take the world by storm. So Taran, Tell us little about your book? 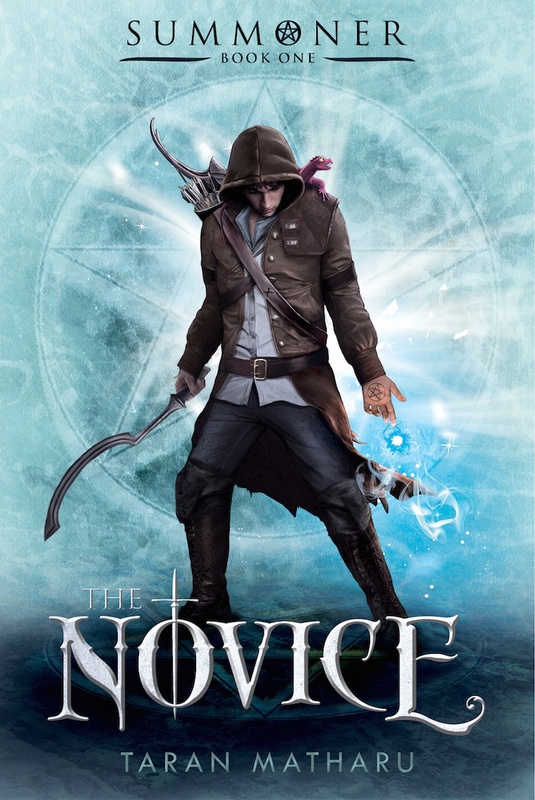 The Novice is about a young orphan named Fletcher, who discovers he has the ability to summon demons from another world. Chased from his backwater village for a crime he didn’t commit, he finds himself at Vocans Academy; a military school where summoners are trained as battlemages to join the Hominum Empire’s war against the savage orcs. Previously open to only nobility, commoners, dwarves and elves alike can now join, exposing Fletcher to the realities of racism and class division. There he will meet two unlikely friends. An elven princess, the first summoner of her kind in a thousand years and a dwarven youth, his heart full of bitterness for the empire that subjugated his people. Together with their demons, they will turn back the tide of darkness, and change the fate of an empire. And I’m delighted that the age range for this Trilogy is eleven and above as it’s prevented a meltdown in my house I can tell you! So how did you get into writing? I started writing at the age of 9. It was something I really enjoyed and this love continued into adulthood. It was when I interned at Penguin Random House that my inspiration for writing was rekindled and I started writing the Summoner Trilogy as soon as I left the company. I don’t know whether my readers have heard about WattPad, the online writing community but what inspired you to post your book there first? I was taking part in National Novel Writing Month and I wanted to get feedback on my writing and something to encourage me to write every day. I knew Wattpad was the best place to get that. I had also read about people like Beth Reekles and Abigail Gibbs who had been published after success on Wattpad. I didn’t really think it would happen, but it was a goal of mine too! You have had amazing luck with almost 6 million reads, or does luck come into it? I think that the book has to be good for you to achieve that kind of success. At the same time, I certainly was lucky that I took part in NaNoWriMo and approached Wattpad as seriously as I did. Is there any advice you’d like to offer to writers thinking of posting on Wattpad. But essentially, you need to have a schedule so your fans know when to expect updates, remind them to vote if they enjoyed the chapter as it helps spread the word and boost your book’s stats, edit your work before posting, use a professional and attractive front cover, be active in the forums/clubs early on, thank people for comments and votes until it becomes too time consuming and finally, write a compelling, fast paced book that has relatively snappy chapters that constantly drive the plot forwards. Thanks Taran for agreeing to speak to me and I wish you the best of luck with your book launch. So great to read about success! Thanks Valerie, yes makes us all feels a little more hopeful doesn’t it! I live on Planet Hopeful!